Nataraja, Lord of Dances, Lord Shiva, Dance of Nataraj, Indian Dance Legends, Lord Nataraja. Lord Shiva is usually referred to as Nataraja, as he is considered the Lord of Dances. Indian dance can be described as an amalgamation of 'nritta' (the rhythmic elements), 'nritya' (the combination of rhythm with expression) and 'natya' (the element of drama). Nritya, when combined with nritta, is featured in most of the stage performances. Nritya comprises of abhinaya that depicts rasa (sentiment) and bhava (mood). To enjoy Indian Dance (Natya or dance drama) thoroughly, one has to understand Indian legends. Indian mythology is predominant amog these dances. The Indian dances also depict the ethos and values of the Indians. One of the popular Indian dance forms is the dance of 'Nataraja', which is popularly called the cosmic dance of Lord Shiva. Nataraja's hand, holding the drum and the one holding fire balance the forces of creation and destruction. The second left arm is held gracefully across the chest (gajahasta mudra) with the hand pointing to the uplifted foot, which denotes favor or grace for the devotee. One foot rests on Apasmara or Mauyalka, the embodiment of human cruelty and ignorance. Surrounding Shiva's figure an immense aureole of flames emanates from him. The value of wisdom, truth and the mantra "om" is depicted through the flames. 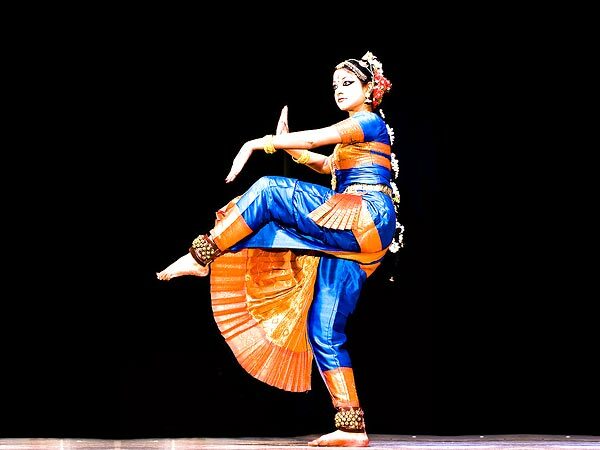 The dances of India demand classical synergy between Nritya and Natya. The sculpture of Lord Nataraja is usually made of bronze, while the wooden variants can also be found. The sculpture depicts Lord Shiva dancing in an aureole of flames. He lifts his left leg to dance, while the right leg is also lifted at times. This is position balanced demon or dwarf (Apasmara), who symbolized ignorance. The dance of Shiva can be divided into two common forms - the Lasya (gentle form of dance), which is related to the creation of the world. The second form is Tandava, a dangerous dance, which is associated with the destruction of the world. Both the types of dances have their own significance in the Hindu mythology, especially the myths related to Lord Shiva. Apart from being a popular art form, the dance of Nataraja is one of the most respected in the Indian culture.